This year my girls started a project to grow things in our container garden that we originally started last year. 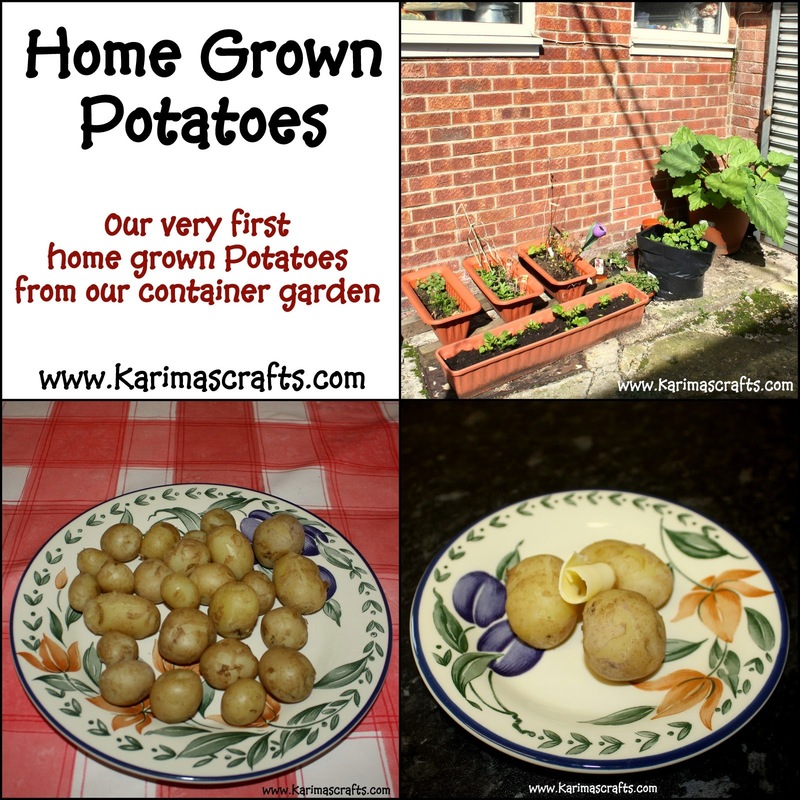 As we are a homeschooling family we were able to take advantage of the free educational potato growing pack that are normally sent to UK schools. My girls were so excited when the pack arrived in the post! here is a photo below of the pack sent to our home address for free. The girls started keeping a log of how the potatoes were doing once we had followed all the instructions and eventually planted them outside in the containers and the black sack that was provided to us in the pack. Once the potatoes had been growing the recommended time, the girls then picked them out of the soil themselves. We washed them, boiled them and had them for our tea with melted butter. They were delicious and the children were extremely happy with all the work they had put into growing them.